How to approach Polity in CSAT-2015? Among CDS, CAPF and CSAT conducted this year, You can see some continuity and some divergence. Then you had to find out correct statements. CAPF: asked about functions of governor Yes they too asked. Both CDS and CAPF asked questions about function of parliamentary Committee. Asked name of Largest Committee. (So in a way, although “ascending-descending” order type MCQs did not come in Economy but that type of question came here in polity. Ventured into more details of parliamentary procedures, powers of Dy.Speaker etc. beyond what’s given in Laxmikanth. Did not. Asked questions from Chapters on President and Parliament. That’s evergreen topic, just like Buddhism, Jainism. Here too, questions came from President and parliament. Some questions from NCERT political science (e.g. correct meaning of democracy) Nope. 9 out of 11 questions, could be solved DIRECTLY from the book M.Laxmikanth’s book, Therefore putting them under Easy to Moderate level difficulty. Gov.power Easy but prone to silly mistakes. Largest Committee Moderate. In the pre-CSAT era, Public Administration players used to religiously mugup Committee membership tables for prelims. But in the recent years, players would have stopped bothering with trivial highest-lowest, ascending-descending orders. 10th Schedule Ridiculously easy. Some serious players may have even felt this MCQ to be an insult to their intelligence. SC no. of judges Easy. Although some may have got confused about “president” instead of parliament. thinking that President signs and appoints them so he ‘decides’. 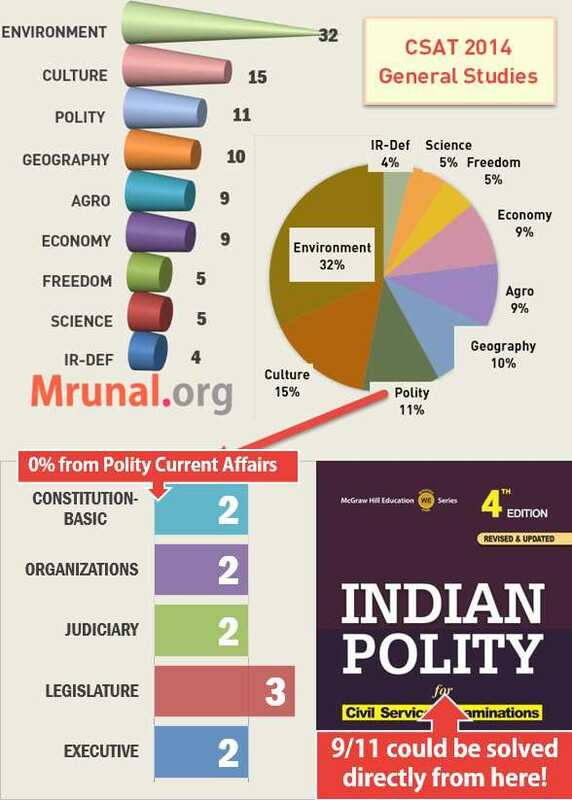 Half of the answer given in India Yearbook 2014, Chapter2 Polity. But it’s silent on ‘cabinet agenda’. Verbatim answer given in Laxmikanth’s Public Administration book. Constitutional Government Difficult because multiple interpretations. I could not locate Verbatim answer. Yes, after all the purpose of doing this answerkey majoori is not cut-off speculation but to fine tune strategy for next year. NCERT Political science must be read. Even though no questions came from CSAT-2014), but it has its utilities. Indian Polity by M.Laxmikanth (Tata Macgrawhill Publication) must be used as Base-book for polity theory. All chapters, appendix must be prepared in thorough detail, all mock questions must be solved. Although recent exams have been mainly focused President, parliament and DPSP chapters and overall easier nature of question compared to last year. BUT you cannot take anything for granted in UPSC. India Yearbook’s Chapter 3 (Polity) must be read. Polity Current affairs must be prepared throughout the year, from TheHINDU. Because, even though current polity not asked in CSAT-2014, but Mains-2013 GS paper II descriptive questions on polity, had the current flavor. 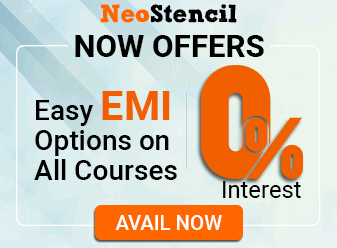 Besides Current Polity important for interviews and backup exams (SSC, CAPF) etc. anyways. All executive actions of the Government of India shall be expressed to be taken in the name of the Prime Minister. Ref: Laxmikanth 4th edition. Pg 17.7 Topic: Executive Powers of President. Statement 1 is correct. (Article 77(3) uses the same wording “Shall”). All executive actions of the Government of India shall be expressed to be taken in the name of the PRESIDENT (not prime minister). Therefore, statement 2 is wrong. Q2. Which of the following are the discretionary powers given to the Governor of a State? We must use elimination method, otherwise there is good chance of making silly mistakes. Reservation of bill for consideration of the President. Recommendation of the imposition of President’s rule. Therefore, statement 1 and 3 are definitely right. Eliminate all choices, that donot have (1 and 3) together. As per Laxmikanth Chapter chief minister, Page 27.2, last section. In other words Governor doesn’t have “Discretion” in appointment of the minister. Therefore, #2 is wrong. Eliminate choices involving number 2. Therefore, B is the final answer. There is no mention of a No-Confidence Motion in the Constitution of India. A Motion of No-Confidence can be introduced in the Lok Sabha only. Art 75 says that the Council of Ministers shall be collectively responsible to Loksabha. In other words, Lok Sabha can remove them by passing a no-confidence motion. But the word “no confidence motion” itself is not given in Constitution itself, it comes from Rule 198 of LokSabha Rules. Therefore statement 1 is right, NCM not in Constitution. Same chapter page 22.29. Rajya Sabha cannot pass cannot remove council of ministers by passing no-confidence motion. Meaning- statement 2 also correct- no confidence motion can be introduced, only in Lok Sabha. Therefore, Answer C Both 1 and 2 correct. No confidence motion can be introduced in Vidhan Sabha therefore statement #2 is wrong. because it uses the word “only” Therefore, answer is (B) only 2. Q2. Which one of the following is the largest Committee of the Parliament? The 52nd Amendment act of 1985, added 10th schedule to the Constitution. This is often referred to as anti-defection law. Laxmikanth Chapter on Supreme court. Page 25.5. Topic “original jurisdiction”. Q1. Which of the following are associated with ‘Planning’ in India? Finance commission is involved in distribution of taxes and grants. It is not involved in planning. So by just eliminating all options involving statement 1, we get answer [C] only 2 and 5 correct. The draft five-year plan, prepared by the planning commission ‘s first submitted to the union Cabinet. After its approval, it is placed before the National development Council, for its acceptance. Then, the plan is presented to Parliament, with its approval, it emerges as the official plan and published in the official Gazette. all those are “stakeholders” and therefore involved. Hence answer (D) 1 to 5. Anyways, UPSC’s official answerkey=final judge. Sidenote: there was also an MCQ on “theme” of five year plan but I classify it under economy. Q2. Which of the following is / are the function/functions of the Cabinet Secretariat? M.Laxmikanth’s Public Administration book, Chapter on Union Government page 427. Both functions given verbatim. India yearbook 2014, Chapter 3 Polity, page 40. Accordingly statement #2 is correct. (Although its silent on 1 and 3). Statement #3 outside the realms of cabinet Secretariat. Financial resources are allotted to ministries, as per the provisions in budget prepared by finance ministry. Therefore, answer C only 1 and 2. Article 51: to promote international peace and security and maintain just an honorable relations between nations between nations; to foster respect for international law and treaty obligations, and to encourage settlements of international disputes by arbitration. While both statements are correct as such. But are both necessary to explain “what is a Constitutional government? Art 19 – State can put “reasonable” restrictions. Art22 Preventive detention (but with caveats)=>1 is right. Art. 20, 21, 22, => protection against excessive punishment, of life, liberty, arrest-detection=>2 is right. While both is right, no doubt. But which one of them are essential to explain the term “Constitutional government”? Only second term: places effective restriction on the authority of state. Source: Indian Government and politics by Abbas Hoveyda Page9. A state is a Constitutional state, if it limits its powers and recognizes the rights of individuals as fundamental for their development. Final answer: official UPSC answerkey. Any corrections, do post in comments but with reference source. Hi, can anyone suggest me which edition of Indian Polity by Lakshmikant will be better – 3rd edition or 4th edition? Thank you sir for you valuable information. why this pages are updated?? i want old pages.. how to prepare from NCERTs and Lakshmikanth..
analysis of upsc prelim csat paper1 and 2 till 2014, changing trends and strategy for 2015, for which subject to give more time n less time accordingly. Had a question on the political executive in India. In the NCERT textbook it says that the council of ministers is collectively responsible to the legislature. So if a vote of no confidence is passed against a single minister, the entire council of ministers has to resign. What happens to the Leader of the council of the ministers i.e. the PM? I am presuming that the PM doesn’t have to resign but what are the implications? And does this vote of no confidence have be of the special majority type? If the Lok Sabha passes a motion of no-confidence against the Council of Ministers, the term of the Government comes to an end. As the leader of the majority, the Prime Minister is also the Leader of the Lok Sabha. He has to perform certain parliamentary functions like proposing dates of calling the House in session to the Speaker and drawing up the programme of official business. Namaskar Mrunal Sir ji. PRELIMS 2016 ka Tips dijiye please..
Sir plz give an overview for prelims2016…like wt to read and how toread??? mai dusri bar upsc pre.exams mai baithne ja raha hun mujhe kuch books ke bare mai batae.Aur mare graduatin mai 45.75% marks hai,maine economisc se P.G kiya hai. It is ok 👌 fr 2015 csat preparation but what ,how fr 2016 csat reply me . Is this pattern same also fr 2016 csat?